FBI Special Agent Serena Jones arrives on Martha's Vineyard with her family, ready for a little bit of R& R and a whole lot of reminiscing as they celebrate the engagement of an old family friend. But crime doesn't take a vacation, and she's soon entangled in an investigation of a suspicious death tied to an antiquities smuggling ring. 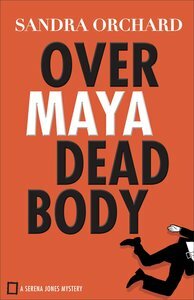 About "Over Maya Dead Body (#03 in Serena Jones Mystery Series)"